* Smooth “mechanical” character of motion of the central chronograph second hand. 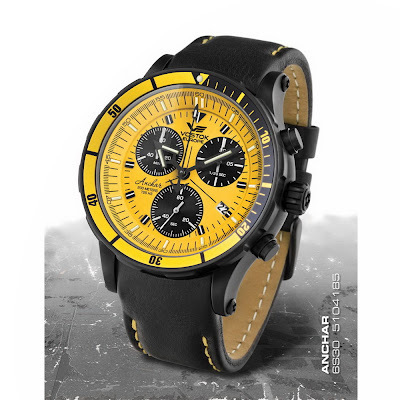 * Extra-large diameter of all small dials (1/20 second and minutes counters of the chronograph and counter of seconds of the main timer). * Powerful and economical kinematic construction of the movement provides battery life up to 4 years. The JS06 has just 2yrs. 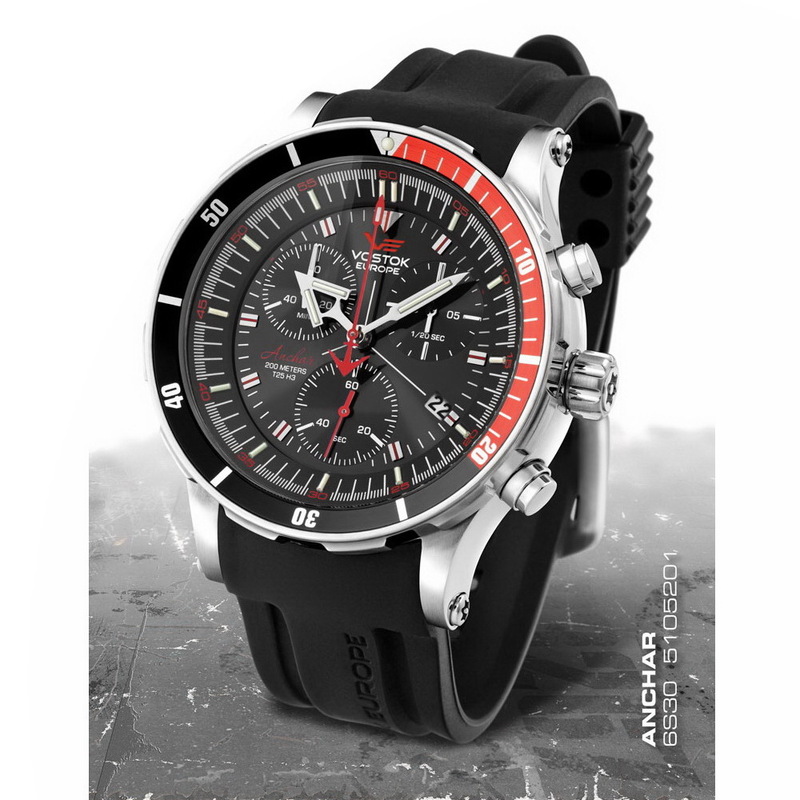 The new line has the same design concept as famous ANCHAR Automatic watches and the same quantity of tritium tubes. It has a water-resistance up to 200 meters. Both watch models shown here will be available within next two weeks. One more version will be available next month.